The best pastry shops in Naples where you can taste traditional and modern desserts. In Naples you can eat traditional and modern desserts, including babà, sfogliatelle and snowflakes best pastries in the city. I sweets from the Neapolitan pastryIn fact, they are among the most famous in the world and any tourist who arrives in Naples can not give up tasting one baba or a sfogliatella. 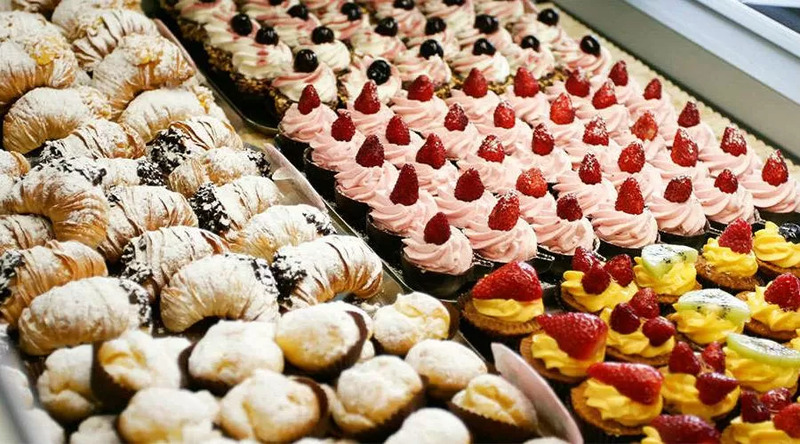 The pastry and bars of the city are small oases of sweetness and between pastiere, capresi, zuppette, lobster tails, prussiane, choux, cream puffs, tarts and cakes of various kinds, you are spoiled for choice. Along with those of tradition, in recent years it is also possible to find more modern desserts born from the creativity of pastry chefs, like the famous ones snowflakes of Poppella or the Colmayer of the homonymous local. Below is a list of the best pastry shops in Naples. Scaturchio pastry is known by any tourist who arrives in Naples and offers a very wide and varied amount of desserts. Its strong point is the Ministerial, a dark chocolate medallion invented at the beginning of the last century by the first founder, whose recipe is still secret. It is known that the filling is a cream of ricotta, fruit and hazelnut, enriched by the liqueur, a mix that has made this cake very popular. Scaturchio is also the creator of the bulk babà in the shape of Vesuvius and in its restaurant you can also taste sfogliatelle, pastiere, tarts, caprese, lobster tails, truffles and much more. Everything is perfect to match the excellent coffee in the bar. With various locations in different districts of Naples, the Bellavia Pastry is one of the most renowned in the city, moved to the 1925 from Palermo. 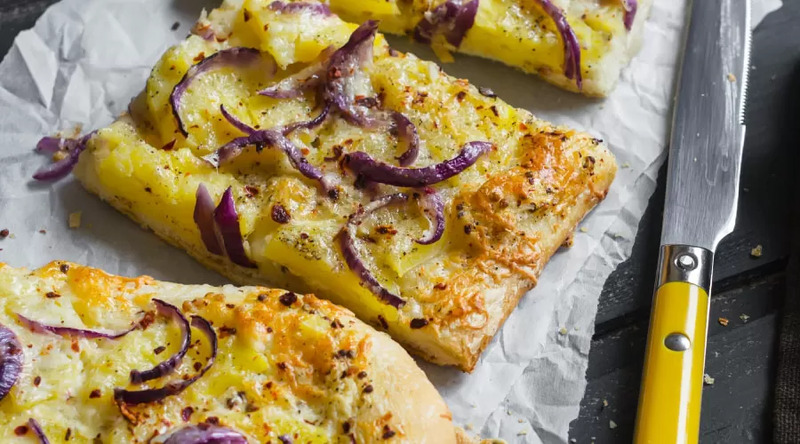 In fact, among its best desserts there are the cassates and the Sicilian cannoli, but the offer has expanded over the decades and, in addition to traditional Neapolitan, there are also many modern sweets born from the inventiveness of pastry chefs. The most famous is the "coffee cream", A sponge cake soaked in coffee, with drops of nugatine and enriched with coffee cream. Among the cakes, try the Nutella chocolate cake, Mont Blanc (meringue, cream and marron glacé), la Rosch cake (grains of Piedmont hazelnuts and chocolate) and Mery Mou (meringue, mou and croccantine). One of the heirs of the historic Leopoldo of Via Foria, famous for its taralli, has given life to some local pastry shops. "L di Leopoldo Infante" has several locations in the city where it is possible to find both traditional sweets and some revisitations in a modern way. Among the most requested desserts are certainly the sfogliatella, the zeppolone with strawberries and chantilly cream, the profiterole and new creations like the Trilogy with white, dark and milk chocolate. Among the most original there is the Barbassone, a glass with layers of babà inside alternating with creams of different flavors and fruit. Antica Pasticceria Carraturo is one of the first in Naples, founded in 1834 near Porta Capuana and is still the only venue. 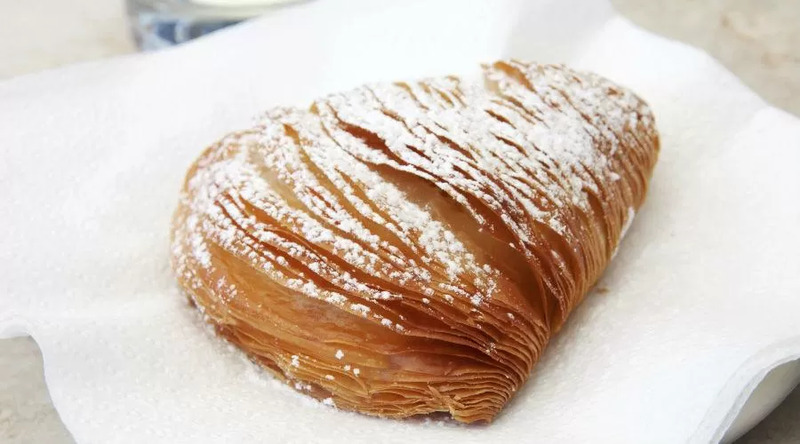 It is also called "the sfogliatella shop"Because this sweet, both in the short version and in the curly version, is among the best in the city. At the same level is the babà, soft and tasty, among the best in Naples, but also the rest of the confectionery offer is of high quality. Pastiere, capresi, cannoli, lobster tails, tarts, cream puffs and all the other pastas have made Carraturo one of the most famous patisseries of Partonopean for almost two centuries. The Pasticceria di Ciro Poppella exists from the 1920 in the Sanità district, but it is from the 2015 that has become very famous in Naples thanks to its new creation: the snowflake. Citizens and tourists are willing to make long lines and wait a few hours to taste this small brioche, whose filling is a cream with a secret recipe. Basic is formed by ricotta and cream, but that mysterious touch makes it irresistible. From Poppella you can also find all the other traditional sweets, equally delicious, and of which original variations are often created with the cream of the snowflake (as in the case of the St. Joseph's zeppola). The popularity of the patisserie meant that it opened a new office also near via Toledo. Very famous in the city for dessert Gone With the Wind, the Colmayer Pastry also knows how to satisfy all the other palates thanks to its delicious desserts. I Via col Vento are sweets created at the beginning of the 2000 years, patented by the owner Pasquale and which immediately depopulated in Naples. Today they are the main reason for the long lines outside the club and they are small donut shaped puffs whose classic version is without stuffing, but can be stuffed with hazelnut cream or white chocolate. Among the other desserts of Colmayer there are also the sfogliatelle, the delicious, the mushrooms with chocolate and those typical of the festivities, including roccocò, mostaccioli and zeppole di San Giuseppe. It is a historic pastry shop of Vomero, the hilly and elegant district of the city, and is among the most appreciated by the Neapolitans. Prices are slightly above average, but are offset by the quality of desserts made with excellent raw materials. Sell ​​like hot cakes both small pastry and cakes and everything is distinguished by its delicacy in flavors. Highly requested i lemon profiteroles, babas, soup, but also the croissants and the brioche. Considered one of the most skilled pastry chefs in Naples, Camillo of Pastry De Michele has its premises in the central area of ​​Vomero and its desserts have a great success among the vomeresi and beyond. The pastas, small pastries and cakes are made every day with great passion, an intensity that is reflected in the delicate taste of the many sweets. Try the originals pistachio profiteroles, but also the choux, the babà, the sfogliatelle, the zuppette and all the traditional desserts. Furthermore, the owner and staff are always very friendly and helpful. The Bar Agrillo also has a workshop for sweets with a rich pastry department that offers high quality products, delicate and exquisite. Founded for more than half a century, it continues to satisfy the Neapolitans and the many tourists who walk in the area of ​​Mergellina and that they want to give a sweet break. Among baba, sfogliatelle, pastiere, choux, cream puffs and much more there is always the embarrassment of choice and a mention apart deserve the creams for fillings, always fresh and delicate. Also very successful cake with strawberries. Located in the heart of the Aminei Hills, Pasticceria Volpe is considered a temple of pastry, crowded especially at weekends for the so-called "Sunday sweets". Both the sweet desserts and the standard ones, and also the cakes, are made with great care and delicacy and among the specialties we can not fail to mention the tarts, like that with white chocolate. The bar department is also very good, especially with regard to integral croissants, and the always very kind staff invites the customer to come back for a new taste.